A devotional to grow together with, this 12 week but is filled with practical advice and meaningful studies for everyone to journey through as a family. The family that prays together, stays together. It's the motto that's been the backbone of Christian families for many years, and is not the idea that has been put into practice with All Together, a devotional for all the family to read together. These 12 weeks of devotional readings are an engaging way for you, as a family, to spend time learning from the Bible, and growing closer together. Each day of the 12 weeks is made of a Bible reading, as well as questions, thoughts, and ideas to help you talk and learn from the day's passage. They are perfect jumping-off-points for you to share with your children the faith you hold so dearly. Steve and Bekah Legg, who parent their own unconventional family, know the challenges of raising kids in faith, and have put all their experience and expertise into making All Together as fun and graspable as possible for all ages. They know the importance of a whole family coming together more than anything else. Turn off the TV, get out some snacks, and discover what can happen when you all grow closer to God, and closer together at the same time. A first in the world of devotionals, All Together is a unique way to enrich your time with God, and with each other. 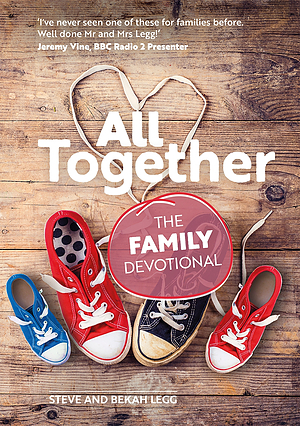 All Together - The Family Devotional by Steve and Bekah Legg was published by CWR in March 2017 and is our 3358th best seller. The ISBN for All Together - The Family Devotional is 9781782596929. 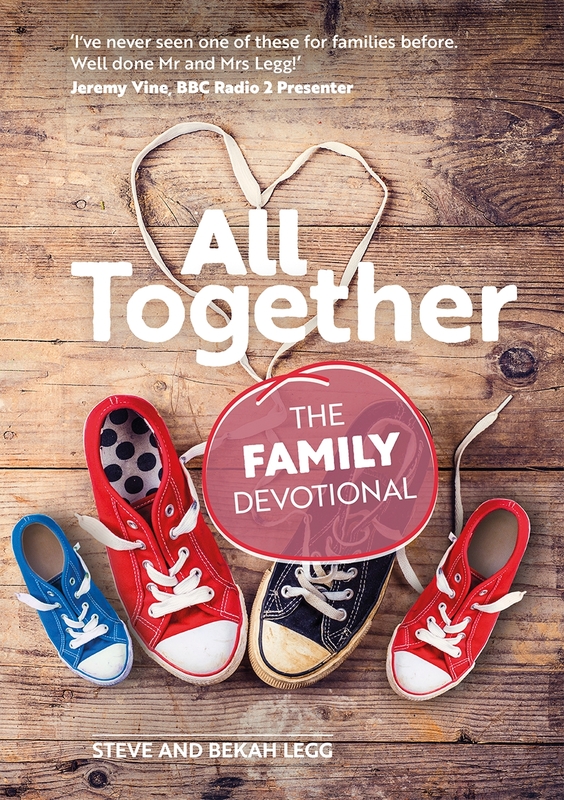 Be the first to review All Together - The Family Devotional! Got a question? No problem! Just click here to ask us about All Together - The Family Devotional. Is this devotional good for teens .. we are looking for an English written (not American) devotional with which to relate and stir up our teenage son. American devotionals tend to have references to American culture that are simply not relevant or understood to a typical British family.. I have a feeling from the cover of this book that it is quite young and simplistic?? A:The publishers of this devotional are a UK based company. As for age, this is geared more towards parents of younger children, and not so much teens. That's not to say there are discussion topics that aren't relevant to teens. Thank you for using the Q&A Forum. Over 12 weeks, explore Bible stories, biblical truths and key characters - and draw closer to God, and each other, through His Word.